So often in life we think, “If I only knew then what I know now…” And this often holds true for our professional lives as well. There are things we would have done differently, avenues we would have explored (or perhaps skirted), and questions we would have asked. But it’s this learning process that we all must go through to gain the wisdom that guides our future decisions. Take a few moments to think about your past and your own learning process. What advice would you give yourself if you could go back in time to when you first started your career? Read on to see what some of your esteemed colleagues would tell themselves as first-year librarians, and share the advice you’d give in the comments below! Show the work you are doing with your students. 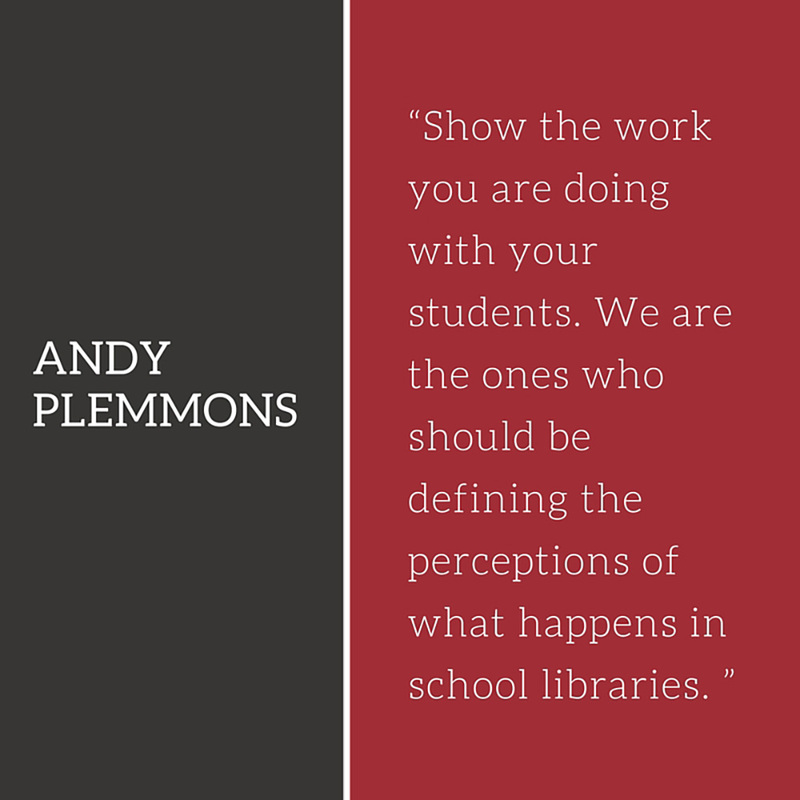 We are the ones who should be defining the perceptions of what happens in school libraries. I understand the purpose so much now, and when I look back at my earlier blog posts and social media shares, I wish I had done more so that I could relive the work of my students and see how I have grown as an educator. Austin Kleon encourages people to show one thing every day, and it is something that I try to live by now. You don’t have to do it all, but you do have to do it well. And it certainly doesn’t hurt to be working on something fueled by your passion, energy and excitement. I’d give my first-year-librarian self two related pieces of advice: First, that library blogs are an outstanding resource for program ideas, book recommendations and critical exploration of topics that you might never stumble upon yourself. 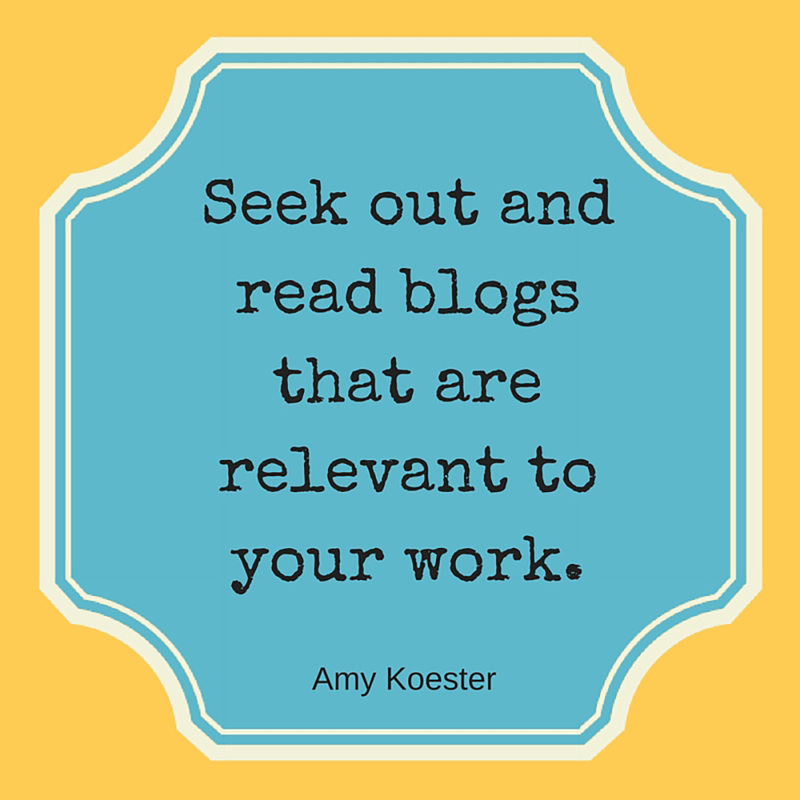 Seek out and read blogs that are relevant to your work. Second, there is no single correct way to provide a library service. While you’re reading blogs, or hearing about other libraries’ programs at conferences, etc., it can be easy to think that you would need to replicate 100% what that other person did if you want it to work in your library. Not so — every professional has their own style and knows how best to act with their specific audiences. So take ideas and recommendations as suggested guidelines, and always give a program or book talk in a way that makes sense and feels comfortable to you. Get on Twitter now! 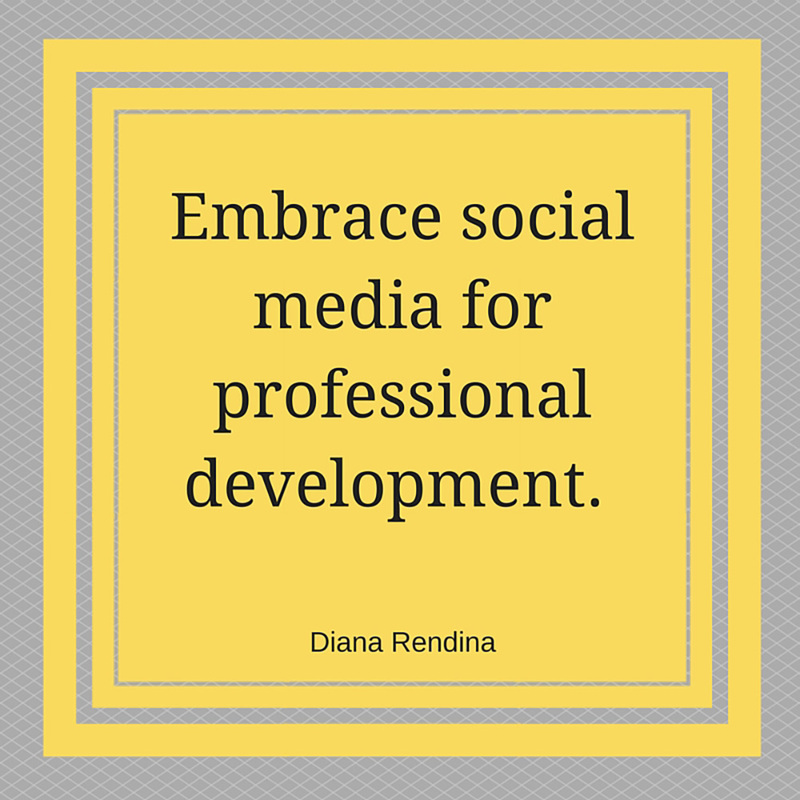 Don’t wait to reach out and start building an inspiring PLN. A career is a marathon, not a sprint. There is time to do all the things you want to do and no need to rush from one service or initiative to another. 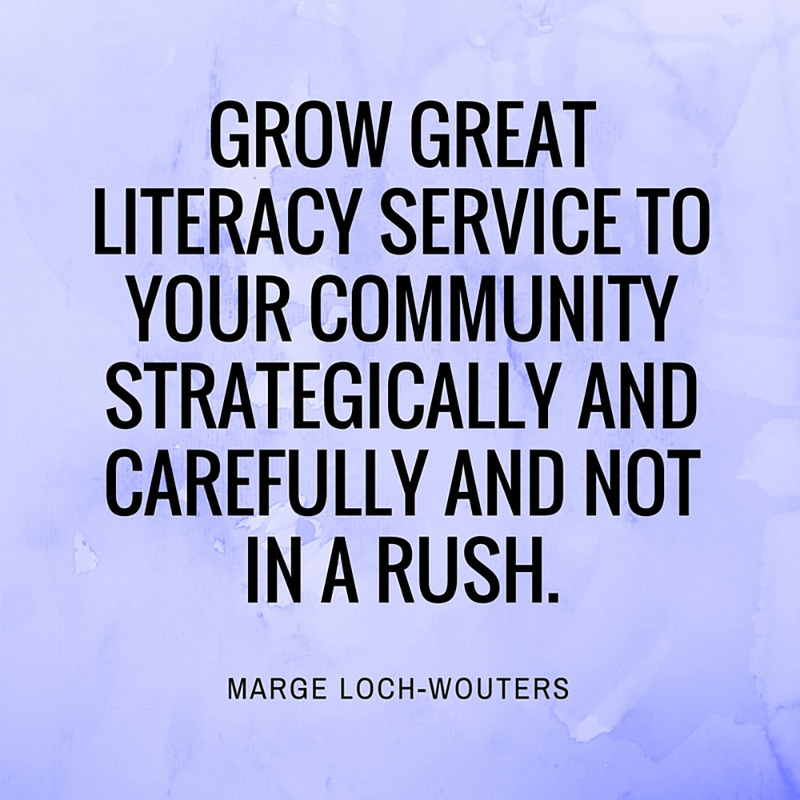 Grow great literacy service for your community strategically and carefully and not in a rush. As a first-year librarian, I’d tell myself to pace myself when it comes to programming! With so many awesome programming ideas out there, it’s hard not to want to do them all at once, but overcommitting can quickly lead to burnout. It’s OK to question. Whether it’s questioning yourself and your career choice, or questioning your library’s policies, it’s OK to have questions. Your first job out of graduate school can be jarring, and a lot of librarians feel like they lack the practical skills necessary when they first begin their new career. These skills will come quickly though, and you will soon forget the “fish out of water” feeling. It is also normal to question your new library’s policies. You should ask questions if you don’t agree with a certain policy, like checkout limits or if you think more technology should be available for children. Your library has likely put a lot of thought into these policies, so it’s always helpful to know their reasoning. There’s always the possibility that the library simply has not revisited the policy in years, too. 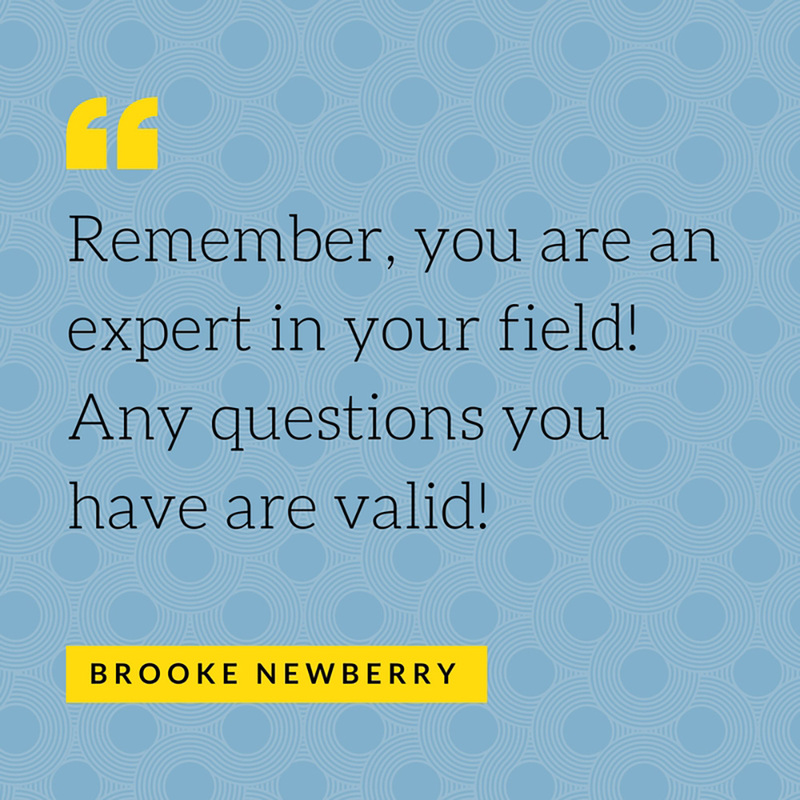 I think it’s natural to feel intimidated when you are a new librarian surrounded by veteran staff, but remember you are also an expert in your field! Any questions you have are valid! 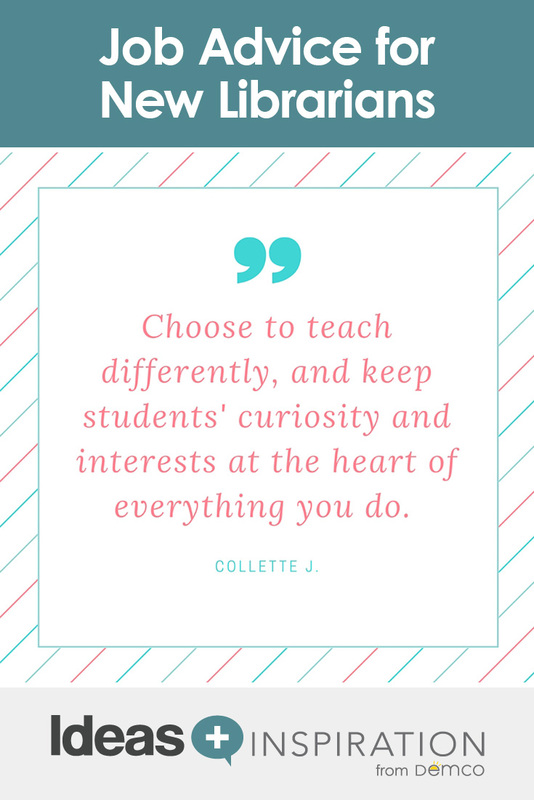 As someone new to the field, seek and be open to advice from your peers, but also channel your anticipatory enthusiasm and energy as you set off creating the world your students will experience within your space. Trust your gut. Try out fresh and innovative ideas and materials you encountered in your graduate studies. Journal to revel in triumphs as well as to reflect on setbacks. Above all, begin each day with a solemn pledge to bring books and children together in intriguing, inspiring and sustaining ways. Listen to positive feedback! 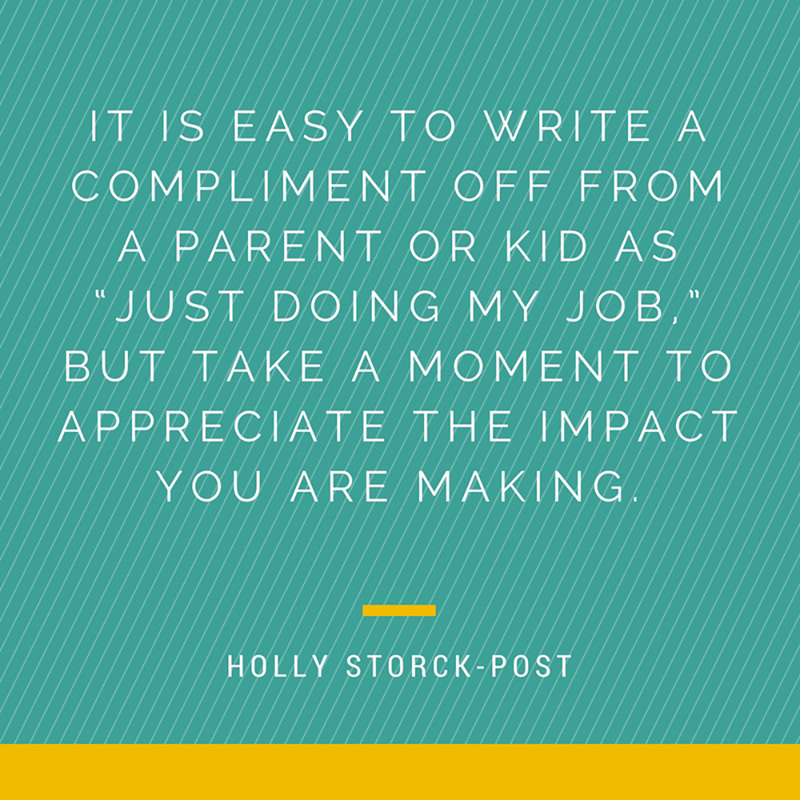 It is easy to write a compliment off from a parent or kid as “just doing my job,” but take a moment to appreciate the impact you are making. Do your research. Before pitching a change to your administration or staff, have the facts to back it up. Just because you know it is the right thing to do doesn’t mean everyone else will automatically get it. Starting a sentence with “Research shows …” really grabs people’s attention! The most important thing to remember is that it takes three years to build a program. You can’t get everything done the first year! If I were to give first-year-librarian me a message, it would be to embrace social media for professional development and to share with others, even if I didn’t think my ideas were great. My first year I kind of skated along and relied on the guidance of other librarians in my district. I had no idea that there was the greater community of teacher librarians on the Internet with amazing ideas that I could learn and grow from. And I didn’t share out what I was doing with others, aside from in-person conversations with my district colleagues. I didn’t really see the value in sharing out what I was doing — I figured everyone else already knew about it. If I could go back to first-year me, I would start a blog right away and start documenting all the things I was doing to transform my library. I would find a way to raise funds or get grants to go to national conferences and connect with others outside of my state. Building these connections has become such an important part of my career, and I regret not starting sooner. I would tell myself (regarding preschool storytimes) that I don’t have to include every format, such as arts/crafts, flannel boards, puppets, etc. I struggled with that because I thought that to be a good children’s librarian I needed to do it all, but I eventually gave myself permission to go with my strengths—music and movement activities. A well-known definition of children’s literature is a book that “has the child’s eye at the center,” and that concept should extend to instruction and library management as well: Keep students at the center of your library. Our public education system has become obsessed with data, testing and quantifying the educational experience. 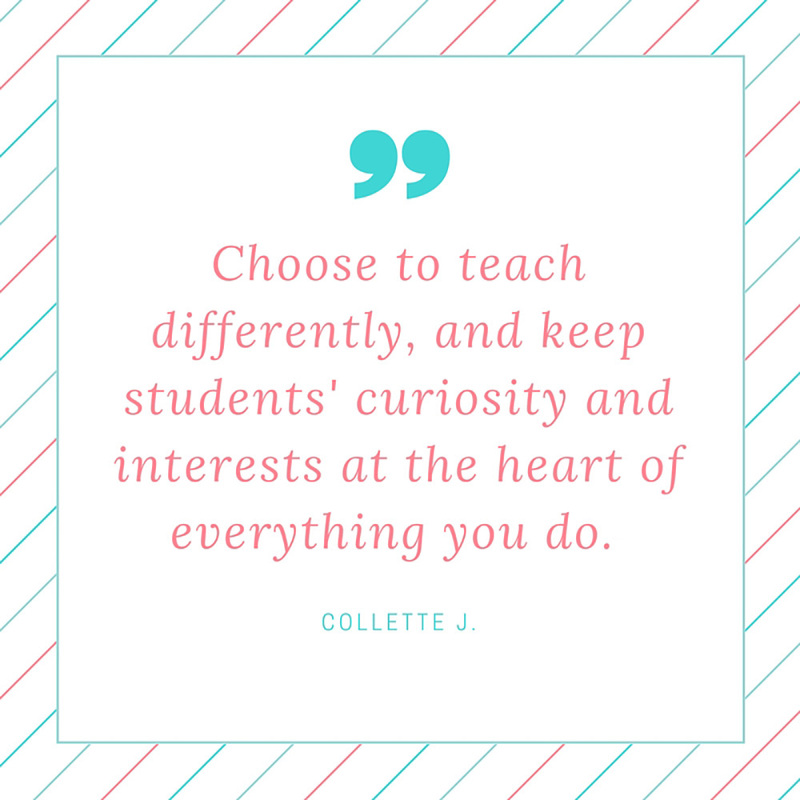 Choose to teach differently, and keep students’ curiosity and interests at the heart of everything you do. Don’t do anything alone. Community partnerships are the keys to success and self-preservation. Avoid one-off programs. Plan once and produce multiple times. Every change you hope to see doesn’t have to happen at once. Take things slowly to avoid burnout.